Ex-SS member Dr. Hans-Joachim Sewering was awarded the highest award by a German therapists union, the BDI. The 92-year-old was praised for his medical achievements, reports the German N-TV channel. 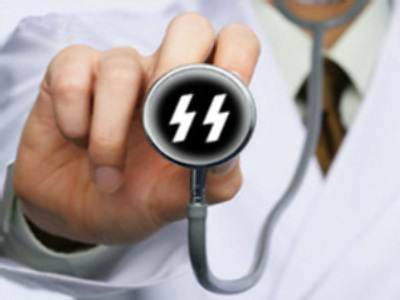 Dr. Sewering joined the ranks of the Nazi elite strike unit in 1933 when he was 17. He was accused of sending patients to a euthanasia centre when he worked at a tuberculosis hospital 1942, but was cleared of charges. After the war Dr. Sewering was president of the German physicians' group from 1973 to 1978, but resigned in 1978 after the original charges were made. In 1993 he rejected the presidency of the World Medical Association after protests over his Nazi past.